The Consolidated TBY-2 Seawolf was originally developed by Vought Aircraft as a replacement for the Douglas TBD. In competition with the Grumman TBF Avenger it proved superior in many areas. 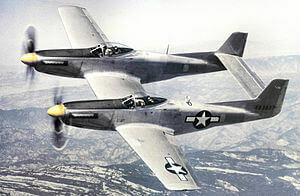 Consolidated Aircraft were awarded a production contract but numerous problems with the aircraft meant only 180 examples were produced and none saw active service. To maximise value, this title contains flight manuals on the TBY-2 and one other US Naval attack/torpedo aircraft, the BTD-1.